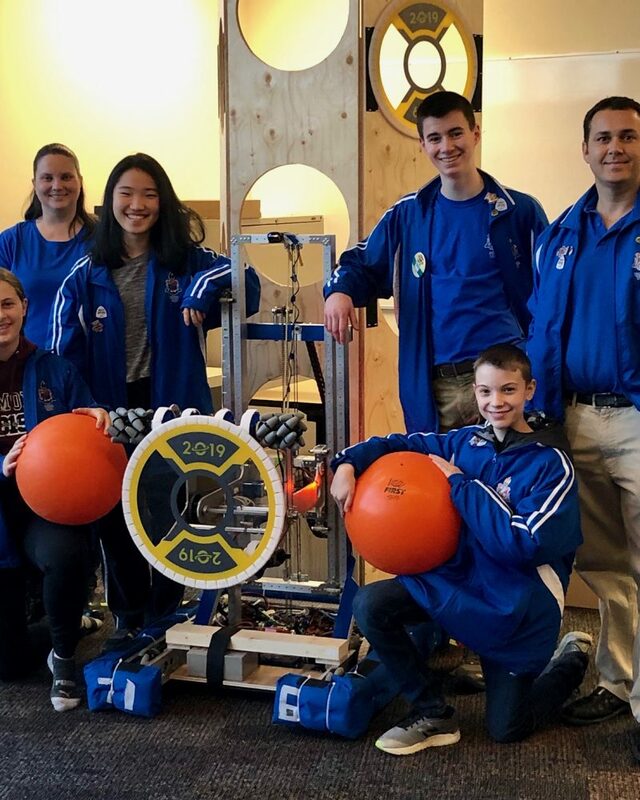 Our mighty Belmont Bytes Robotics Team prepares for the FIRST Robotics Regional Challenge March 7-9 at the Save On Foods Memorial Centre. Here the pose with "JUNO" the robot! 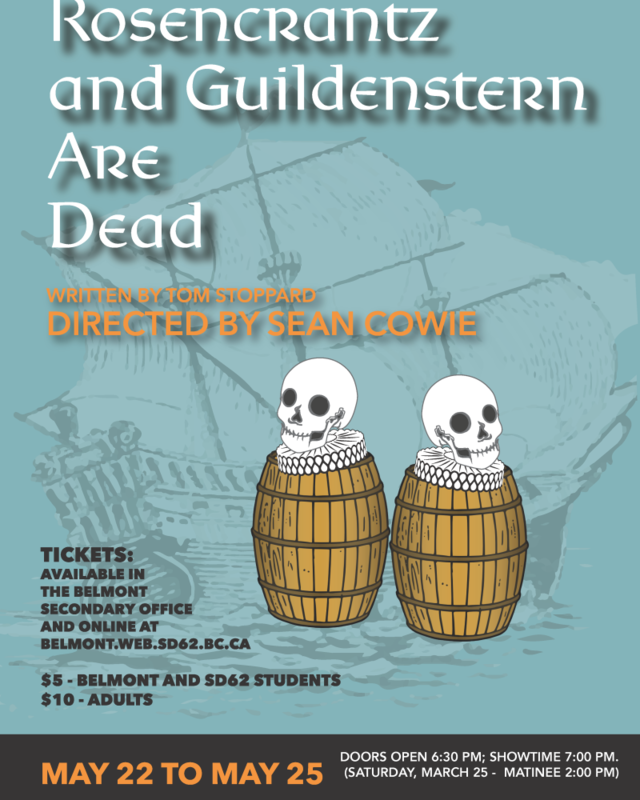 Rosencrantz and Guildenstern Are Dead is coming soon! 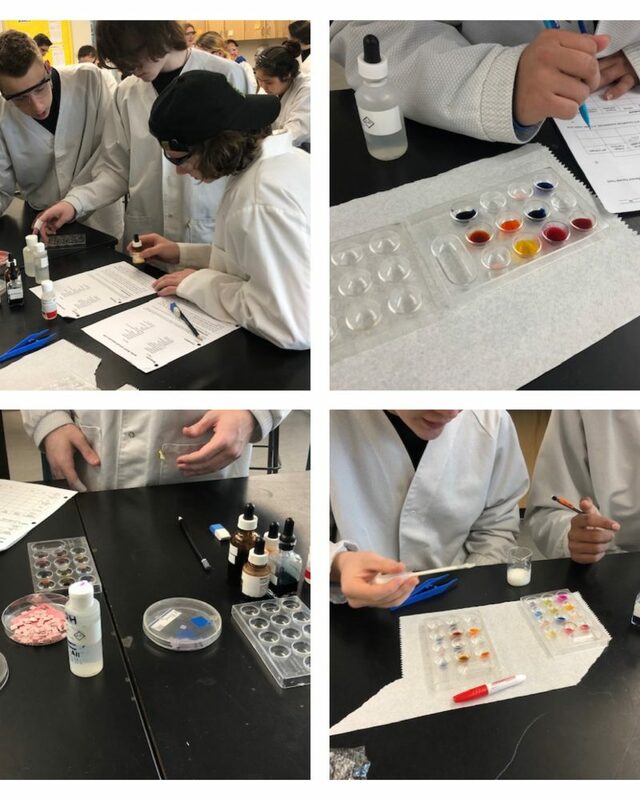 Some of our Scientists from Ms. Wilkie's class sharing their learning through lab time. Complete this survey by Monday, March 18 for your chance to win one of four $25 gift cards to Indigo books. Click on the image or link below to start the survey. 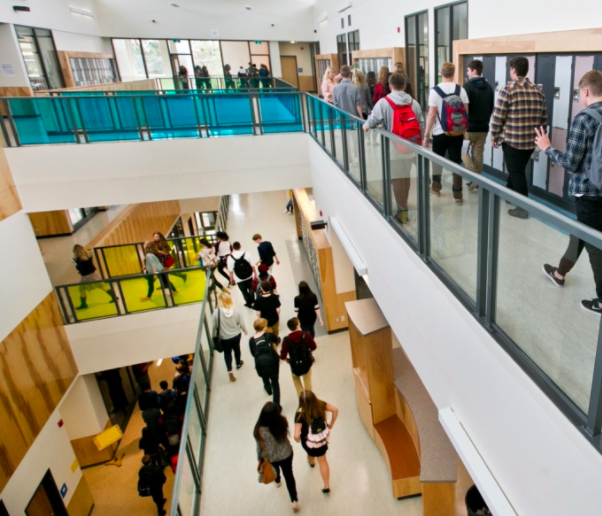 Grade 9,10, and 11 students attended a presentation last week that provided instruction on how to select courses for their upcoming school year. We are moving from paper-based course selection to online course selection. The selection portal for students to select their courses will only be open and available to students and their families until Friday, March 1 . We have noted key points below so that you may view the process with your student. Students viewed a power point presentation with instructions to the online course selection process. We encourage families to view this power point on the Belmont web site. Here, you will find answers to questions that you may have about the online selection process. You may wish to look at the BC Graduation Plan as student entering grade 10 are entering the graduation program. The MyEd portal will be a very useful site to become familiar with over the coming years. It is here that students and families can view report cards, student schedules, course selection, etc. Please ask your student to sign-up to see their counsellor-of-record if they have any specific questions about the course selection process. With the outbreak of measles in Vancouver, BC, families may be wondering what steps they can take to protect themselves from measles. Vaccination is the best method of protection. All school-age children and adults born in 1970 or later should have 2 doses of MMR vaccine for full protection. Most people born before 1970 are immune to measles because of past exposure or disease. Please take some time to check your vaccination records to see if you or your children need additional vaccination. Vaccination is available from physicians, pharmacists (for adults and children over 5 years), and public health units (for children). Call ahead to your healthcare provider to ensure that MMR is available at your appointment. If you have any questions or would like more information about measles and MMR vaccine, please visit healthlinkbc.ca and immunizebc.ca. The school district has posted draft calendars for the next three years. 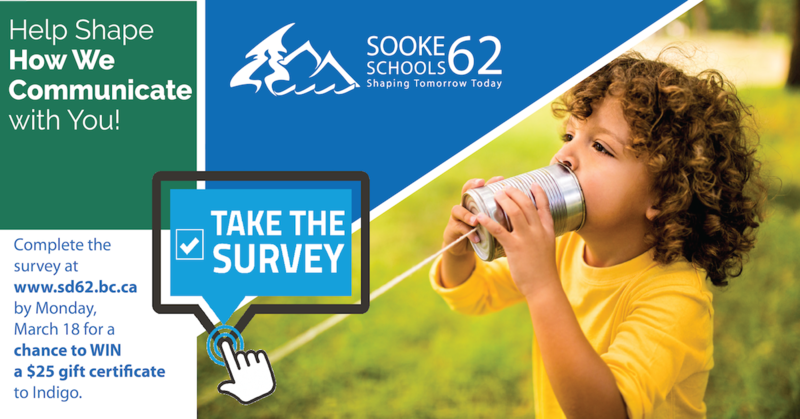 Please provide any feedback you might have to info@sd62.bc.ca. Feedback will be open until Friday, February 22, 2019. 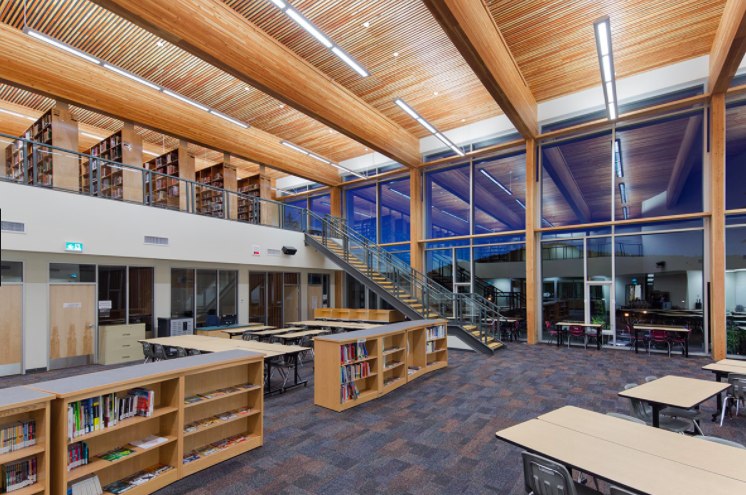 The SD62 Board of Education must submit a Board-approved calendar to the government by the end of March. 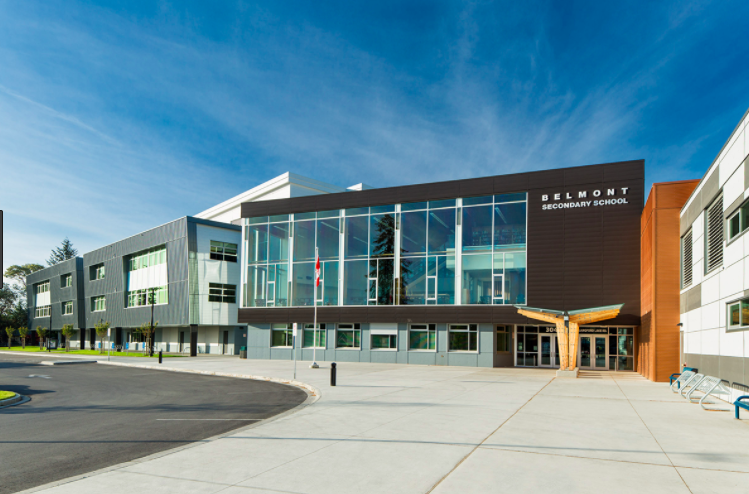 Our wonderful new school opened in September 2015. The original building, which has been demolished to open up more space in our community, opened in 1947. 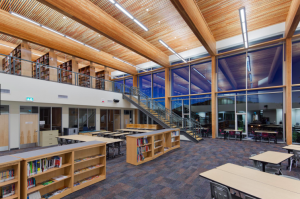 The Library/Learning Commons is a beautiful multi use space with a view of Langford Lake. The hallways and common spaces are spacious and open with an abundance of natural light. 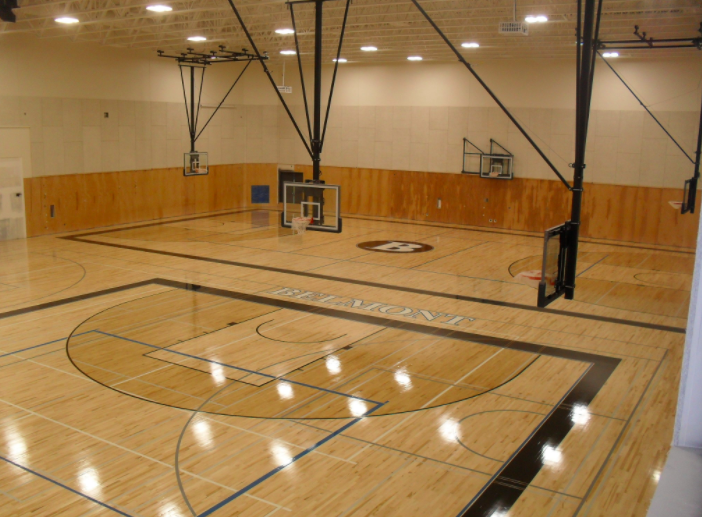 The gymnasium is the largest in the province of BC!